I was talking with a crowdfunding campaign last week that had a pretty common story. The non-profit had heard about the great opportunity in crowdfunding as a quick fundraising idea and launched their first campaign just under a month ago. The campaign had raised a total of $809 over 22 days with only 18 days left to meet their $15,000 fundraising goal. They needed help figuring out what went wrong in the campaign and quick fundraising ideas to fix it fast! Unfortunately, this kind of thing happens too often to some really great organizations. You’ve started your crowdfunding campaign without much planning and it fizzles pretty quick. The only solution is some quick fundraising ideas built around the campaign to raise awareness. 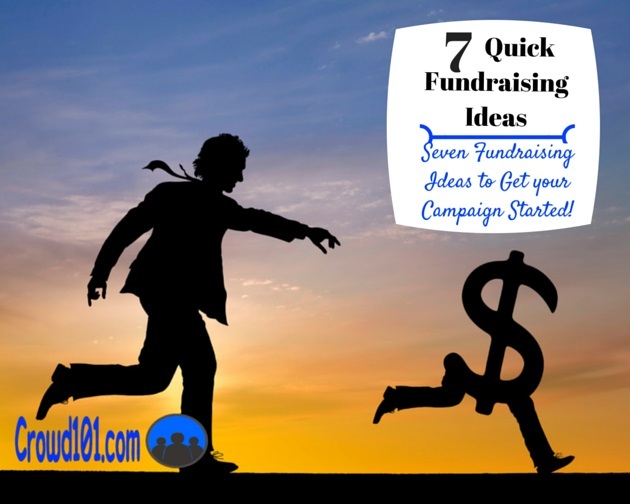 That’s why I’ve put together a list of my favorite eight quick fundraising ideas to pull any crowd campaign out of a jam. Despite the idea that crowdfunding is about the ‘crowd’, it really all starts with your established network and a local base. There are nearly 7,000 crowd funding projects on Kickstarter at this moment. Without a strong base of people promoting your campaign through social sharing, there is little chance that you are going to get the momentum you need to be successful. While crowdfunding may be global, your strongest supporters and the ones you should start with are always going to be local. These are the people that have been touched by your organization or small business. People are much more likely to commit to a campaign if they recognize the people behind it. To build your local base, you need to get out into the community to spread the word and work up some enthusiasm. Even if it’s just a few quick fundraising ideas to put your organization in front of someone for an hour, you’ve established a connection and can leverage that connection online. Parade in the Park – this is one of the quick fundraising ideas I suggested to the non-profit campaign, an arts and music organization for kids. You might need to reach out to get a quick permit but you may not need one for an impromptu flash mob idea. Take some instruments out to the local park and invite random people to be in your parade. This is best for a music-related organization but there’s different variations that will work for any group. Like any of the quick fundraising ideas here, you’ll want to promote it as much as possible through social media and local TV or radio. Have at least three or four volunteers talking to people about the organization. Collect email addresses or phone numbers and don’t be afraid to collect pledge promises on the spot. Theatre in the Park – this is a related idea though not the only other quick fundraising idea you can put together in the park. Put together an impromptu play in the park. You don’t need backdrops or costumes, just index cards with the lines for the major characters. Invite people to be in the play through your social media promotion or recruit people at random. The idea is to get people involved and to get them to associate with the organization. 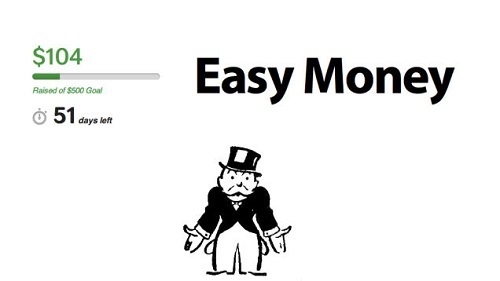 Ridiculously expensive sale – The wonkier you can make your quick fundraising ideas the better. Anything weird or outside-the-box will draw more interest and more people. Hold a ridiculously expensive sale in front of the building where menial items are marked up to crazy prices. Have a few headliner items for sale or auction at reasonable prices as well but make sure there are plenty of little things like desk lamps or knick-knacks for sky high prices. Paying $50 for a waste basket will give someone a story for the rest of their life and goes to raising money for the organization. How to workshops – Depending on your existing base of supporters, you should be able to find at least a few people with some special skills. Ask them to donate an hour of their time to give a quick lesson on…pottery, painting, book-keeping or just about anything. These workshop series are great because people are getting something for free and are much more likely to donate on the spot. 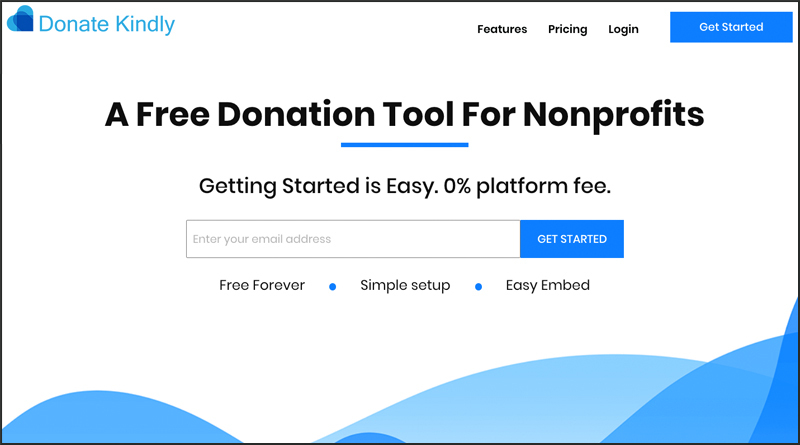 Maximize your donations with a free fundraising tool – If you're raising money online you'll want to make sure to minimize fees. I'd recommend you switch on the donation tool on your website with a free fundraising tool like DonateKindly. It's an easy and long-term way to raise more money from your organization. They say that you shouldn’t try to reinvent the wheel. The same thing goes for building a network of supporters. Why spend hours and multiple events trying to build your own fundraising base from scratch when you can team up with other businesses or organizations that already have established networks? Bartender for a day – Arrange with a local restaurant or bar to have someone from the organization bartend for a few hours. Obviously you want to choose a nice establishment that gets a good crowd rather than just any hole in the wall. The bar gets free labor and a charitable event to promote and draw people out. You get the opportunity to reach out to people that are in a relaxed and open environment…and a little alcohol to relax them further won’t hurt. Write out short notes and your website address on coasters and have people floating around the crowd to talk about the fundraising campaign. 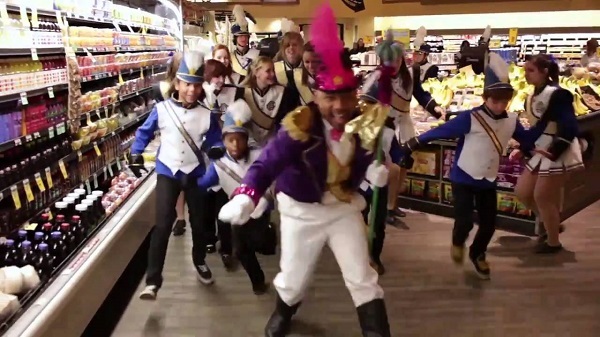 Baggers for a day – You can volunteer at any establishment that gets a decent flow of traffic. Offering to be checkout baggers for a few hours is great because you can establish that quick personal connection and ask to drop a flyer in the bag along with the groceries. Everyone needs to eat so you’re audience is diverse and good be extensive. Hijack another event – This one will take a little more planning but can still be a quick fundraising idea and very little work. Keep track of upcoming local events, especially for those that are not already associated with a cause or campaign. Offer to help promote the event and promise not to be too assertive about your campaign. Most events will allow you to send one or two people to casually work the crowd and talk about your campaign. OK, so I promised eight quick fundraising ideas but I couldn’t resist including a few more. Battle of the…Bands? This is another fun one that can be done impromptu in the park or anywhere. We’ve all seen a Battle of the Bands where musical groups compete in a concert. Throw your own amateur battle! Take a box of musical instruments to the park and group people into three to five-member bands, no musical talent needed. It’s a great way to have fun, get people involved in your event and a quick fundraising idea that works! Tricycle race – Take five to ten tricycles and host a mini-race around the park. People can enter the race and ride a tricycle or they can sponsor someone in the race. Take stickers and markers with you so sponsors can write their name on them and stick them on the racers, just like in NASCAR. Selling baked goods or other treats at the event helps to bring in a little extra as well. And the last quick fundraising idea, just ask for the support. We spend so much time thinking of creative and quick fundraising ideas that sometimes the best way is the most direct. People want to help others out and support a worthy cause, you don’t always have to be the entertainment for a donation. After all, the point of a charity is to support a cause without compensation or return. Just try approaching people. Ask for just 30 seconds of their time to talk about the cause honestly and what it means for so many people. Talk about what called you to the mission and how it’s affected your life. Then ask for their support and contact information. Asking for both gives them a choice and makes it easier to say yes to at least one. If they say no to both, ask if you can give them a card with the group’s website address. Even those that don’t donate may return to the website later and show their support. Again, the goal for these quick fundraising ideas is not to raise a ton of money and meet your fundraising goal but to make a quick connection with as many people as possible. You can raise some money at the events but the idea is to leverage the connection into social sharing and support online. What a terrific resource! I am looking for a fundraiser for our High School Drama department. Love the idea of holding a “Who’s got Talent” show and selling tickets. I believe the biggest challenge will be limiting time for performers. Organizing the performers can definitely be a task but don’t worry too much about putting on a perfect show. Let everyone have fun and focus on the community aspect. Good luck with the fundraising and thanks for the comment. Thank you for your tips. I think a theater in the park is an awesome way to raise money. You could also sell snacks and other goodies. I think you could probably do raffles and have local companies donate items.